"His expedition formed the initial bond between Europe and the Americas, and changed the world forever," he continued. "Today, in that spirit, we continue to seek new horizons for greater opportunity and further discovery on land, in sea, and in space." 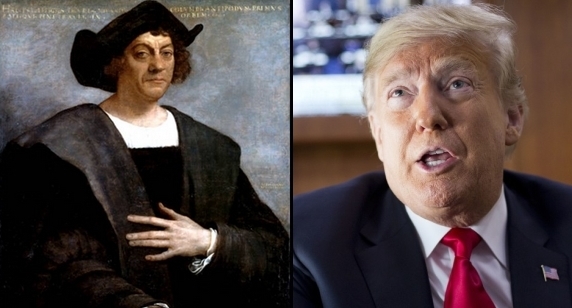 Trump also highlighted Christopher Columbus's citizenship, tying it to the modern-day alliance with Italy. 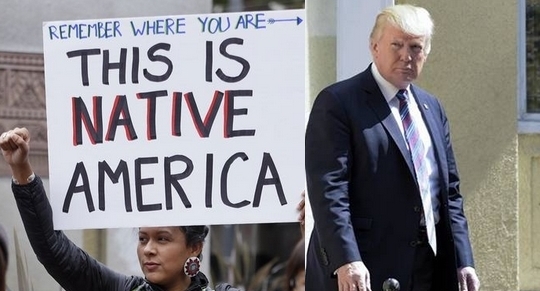 Neither the presidential proclamation nor the president's tweet sharing the proclamation included any mention of indigenous peoples or Columbus's more complicated legacy that led to the deaths of scores of Native Americans and the spread of disease. Trump did not mention either subject in his 2017 proclamation. In 2016, former President Obama singled out indigenous peoples for their contributions to the U.S. and acknowledged "the pain and suffering reflected in the stories of Native Americans who had long resided on this land prior to the arrival of European newcomers." Indigenous groups and advocates across the country have in recent years pushed for local, state and federal government officials to recognize the holiday as "Indigenous Peoples Day" to recognize the contributions of Native Americans. Several U.S. states and cities do not recognize Columbus Day as a public holiday. South Dakota has celebrated Native American Day for nearly 30 years. Columbus, Ohio, announced that the city would not observe Columbus Day this year, breaking with decades worth of practice. The city will instead close its offices on Veterans Day. Responses to "Trump again makes no mention of indigenous peoples in Columbus Day proclamation"
Ney. you all need to bring him into the Spirit. He is from NYC, the death of life and he knows no better. He has the Spirit, You all need to show him the Road home. Because of what CC did we the members of Indigenous Day Of Remembrance gather in Columbus Circle @ 59th St in NYC to protest the recognition and honoring of this monster. We have no problem with the day being called Italian Heritage Day to honor the contributions of the Italians and having Native American Heritage month recognized and honored. For all those who are not aware, the entire month of November was declared National American Indian Heritage Month by then President George H.W. Bush on August 3, 1990, so let us all start recognizing and honoring this holiday.